For the last two weeks, visitors to the First News website have been voting for their favourite toys. The results are in, so see if you agree with their choices! can choose from ‘training’ or ‘normal’ mode. 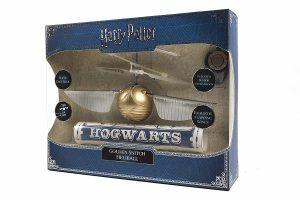 The Golden Snitch Heliball not only flies, but it allows the user to customise its flight pattern from random directions to vertical flight. Just adjust the angles of the wings to make it perfect for Seekers in training! 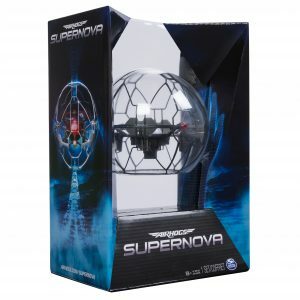 Unleash the power of your hands with the Air Hogs Supernova! Only you can control this gravity-defying orb! Launch it, push it, spin it, using just your hands. No remote or touching needed! 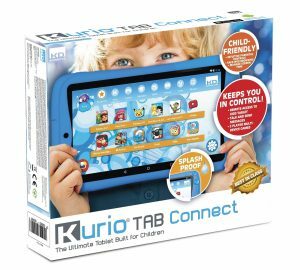 The awesome Kurio Tab Connect Android tablet is designed especially for kids. It comes packed with loads of apps and games, and you can surf the web, take photos and videos! You can even make internet calls and access over a million new apps! 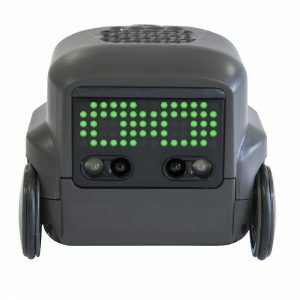 Meet Boxer, your real robot friend! This plucky little bot comes to life straight out of the box and is raring to go – no assembly required! With a love for fun, your new friend is ready to play! To start, place one of the ten activity cards in front of Boxer. Once he rolls over the card and scans it, the fun begins! The sensei summons the ninjas to their practice, but these are no ordinary fighters. 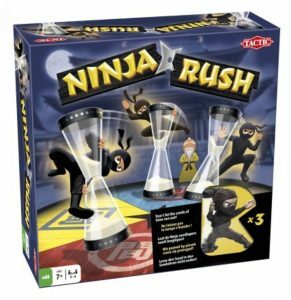 Each ninja carries a sand timer and it’s your job to make sure that the sand keeps running. If you can keep the ninjas turning and the sand running in the timers until your turn is over, you can collect a ninja star! The player who collects five ninja stars first wins the game! 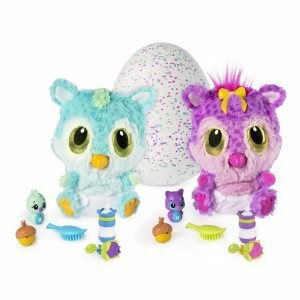 These magical creatures are kept safe and warm inside their colourful speckled eggs until they are ready to hatch and become forever babies! They come with five accessories and are super cute and soft! Who and what will you find inside your colourful egg? 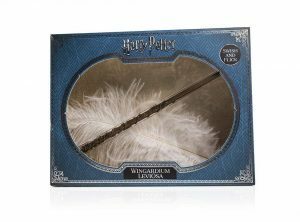 This official spell kit features a wand that allows the caster to enchant the included feather and make it fly through the air. While it may appear to be magic, the impressive effect is actually achieved by using a strong and near-invisible thread. Make this wildly different Monopoly game a favourite go-to game for game nights and other fun get-togethers. 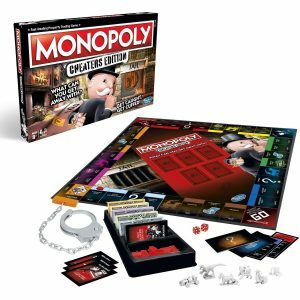 Revel in those iconic (yet unspoken) Monopoly moments in which rules are bent, money is borrowed, and funny business is welcomed! It’s a laboratory packed full of scientific research, so you can perform more than 150 experiments and become a great scientist! 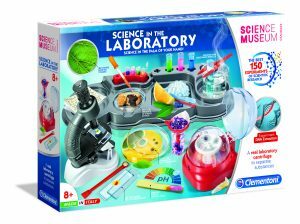 The kit contains real laboratory instruments, including a microscope, a centrifuge and lots of other materials you will need to run the experiments and explore the greatest secrets of science!